Prediabetes is a condition where blood sugar levels are higher than normal but lower than what is observed in diabetes. However, there is a high risk of progressing into diabetes. More than 100 million Americans have prediabetes or diabetes. 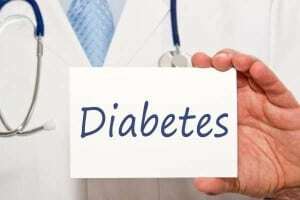 If untreated 37% of the individuals with prediabetes develop diabetes in around 4 years. Physical inactivity, high cholesterol levels, polycystic ovarian syndrome, family history of diabetes are few of the risk factors for developing diabetes. Individuals diagnosed with diabetes have an average annual health care expenditure of $11,000 to $14,000. Treatment involves lifestyle changes such as diet changes and exercise leading to weight loss and pharmacological interventions involve usage of anti-diabetic medications or even surgery. This article explores various ways by which turmeric, a curry spice can help in preventing and reversing prediabetes. How does turmeric help in prediabetes? 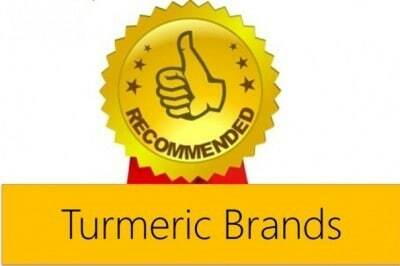 Turmeric is proven to prevent the progression of prediabetes to diabetes. A lot of scientific evidence points towards the therapeutic potential of turmeric and its bioactive constituent, curcumin in prediabetes. The only clinical trial that demonstrates that turmeric aids in prediabetes is ‘Curcumin Extract For Prediabetes’ by Somlak et al. This study enrolled 240 individuals diagnosed with prediabetes and they received either curcumin or placebo capsules for 9 months. High doses of curcumin were given- around 6 capsules a day with 250mg standardized curcuminoid extract per capsule. A number of biological parameters were recorded to assess progression into type 2 diabetes. After 9 months of treatment, 16.4% of the individuals in the placebo group developed diabetes while none in the curcumin treated group progressed to diabetes. Also, those treated with curcumin had better blood sugar control, increased insulin sensitivity, improved Beta cell function (these cells are responsible for insulin production) and reduced inflammation. Individuals diagnosed with prediabetes if treated with curcumin have reduced risk of developing diabetes. However the dosage of curcumin used in the study is not achievable by dietary means. An increased risk in cognitive impairment and dementia is observed in prediabetes and diabetes. Curcumin is a neuroprotective agent (brotects the brain and nervous system) and its use is implied in psychiatric disorders. Cognitive decline in prediabetes can be reduced by improving blood sugar control. Lee et al have demonstrated that inclusion of 1g of turmeric in the diet (in this case a breakfast of white bread) improves working memory. 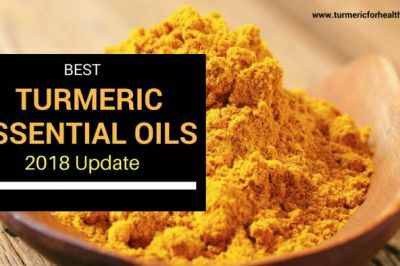 Since it was a short study they observed that turmeric brought about this effect independently of insulin resistance and other parameters indicative of disease. 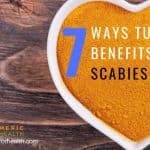 However, researchers concluded that this therapy is favourable as its natural, followed in dietary patterns of Asian countries and unlikely of producing side effects. 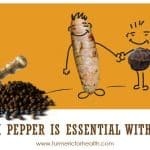 Turmeric can protect from changes in cognition that can occur in diabetes by means of its brain protecting property. Impaired fasting glucose: This is when your blood glucose levels are high despite of not eating or drinking for 8 hours but not as high to be diagnosed with diabetes. It’s when the liver does not respond to insulin (the hormone that reduces blood sugar) and you have high blood sugar on waking. High glucose levels can in turn reduce insulin sensitivity thus leading to a vicious cycle of events. Experimental studies suggest that curcumin can attenuate unfavourable responses occurring as a result of high blood glucose levels and increase insulin expression and sensitivity. A typical Western diet is likely to lead to weight gain and diet induced glucose intolerance. Studies show that curcumin can reduce Western diet induced glucose tolerance and insulin resistance associated with obesity. Curcumin has anti-hyperglycaemic and insulin sensitizing effects- it normalizes blood glucose levels and increases insulin production and sensitivity. Curcumin influences various biological mechanisms in order to normalize blood sugar control. Pancreatic beta cells are those that are involved in the production of hormone –insulin that regulates the blood sugar levels. Dysfunction of these cells can contribute to impaired glucose tolerance in prediabetes. 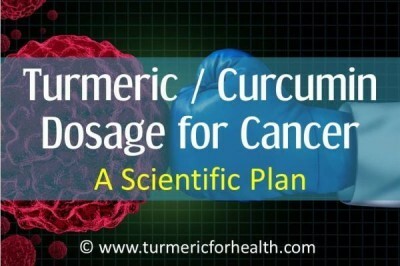 Studies show that curcumin can protect and enhance the function of pancreatic beta cells. Rashid et al conducted a study on the effect of curcumin on beta cells in experimental diabetes. In this experimental model, induction of diabetes was characterised by increased inflammation, reduced cellular defences, increased oxidative stress and death of pancreatic beta cells. Interestingly, curcumin treatment ameliorated all these changes, improved blood sugar control and increased insulin levels. Researchers concluded that curcumin protects beta cells by reducing inflammation and preventing cell death. Pancreatic beta cells are involved in production of insulin and good insulin levels ensure better blood sugar control. Curcumin protects the pancreatic beta cells from damage and improves their function. Increased body weight serves as a risk factor for prediabetes. This is because due to reduced insulin sensitivity leads to increased deposition of glucose as fats. Among the lifestyle changes recommended in the treatment of prediabetes, weight loss is a very vital component. In fact, for every 1kg of weight loss, your risk of developing diabetes reduces by 16%. Curcumin formulation when administered to obese individuals and supported with changes in diet and exercise has the potential of causing an average weight loss of 1kg in every 10 days. Research shows that dietary curcumin, by virtue of its antioxidant and anti-inflammatory properties, reduces obesity associated inflammation and insulin resistance. Curcumin reverses insulin resistance, hyperglycaemia (elevated blood sugar levels), hyperlipidemia (elevated blood lipid levels) which are features of diabesity. Curcumin can accelerate weight loss outcomes of conventional weight loss techniques and this can reduce the risk of prediabetes and type 2 diabetes. Enzymes involved in fat metabolism play a vital role in the regulation of blood sugar; after all excess blood sugar is stored as body fats. Hyperlipidemia is a condition characterised by excessively high lipid (fat) levels in the blood. Animal study shows that curcumin treatment reduces cholesterol levels in blood and liver as well as blood lipids. High lipid levels can cause toxicity (lipotoxicity) and impair pancreatic beta cell function leading to cell death. Research shows that curcumin protects beta cells under lipotoxic conditions from cell death and this will have a favourable impact on blood sugar and insulin levels. A clinical trial in diabetic population demonstrated that curcuminoid treatment for 3 months improved the activity of the protein involved in fat metabolism which in turn improved the level of free fatty acids in the blood. This in turn improved blood sugar control. Results from another clinical trial suggest that curcuminoid and piperine combination can help in reducing cholesterol and blood lipid levels in individuals suffering from metabolic syndrome. High blood lipid levels and cholesterol can affect pancreatic beta cell function and impair insulin activity. Curcumin is proven to reduce blood cholesterol and lipids in metabolic syndrome. Curcumin has anti-diabetic and blood glucose lowering properties. Medications prescribed in diabetes treatment are also administered in case of prediabetes. The liver is involved in glucose production from fat and this process is altered in diabetic patients leading to increased blood sugar levels. 5-AMPK is an enzyme that is involved in energy balance and glucose production by liver. Metformin, an anti-diabetic drug, reduces blood sugar levels by inhibiting the production of glucose in the liver and to do this it regulates the activity of AMPK. Kim et al have shown that curcuminoids also follow the same route in order to reduce blood sugar and their potency is 400-100,000 times that of metformin. Glitazones is another class of anti-diabetic drugs that increase sensitivity to insulin. Animal study suggests that curcumin’s ability to lower blood glucose and improve insulin sensitivity is comparable to rosiglitazone and curcumin can serve as an adjuvant therapy in diabetes. A study in humans shows that curcumin supplementation with glyburide, an anti-diabetes medication, increases the therapeutic efficacy of glyburide and improves cholesterol levels without causing an excessive reduction in blood sugar. Glucosidase is an enzyme that is involved in digestion of carbohydrates and alpha-glucosidase inhibitors are prescribed to do the opposite. Curcumin and its derivatives have natural glucosidase inhibition activity. Curcumin’s natural anti-diabetic and blood sugar lowering properties is comparable to that of anti-diabetic medications which are also prescribed in treatment of prediabetes. 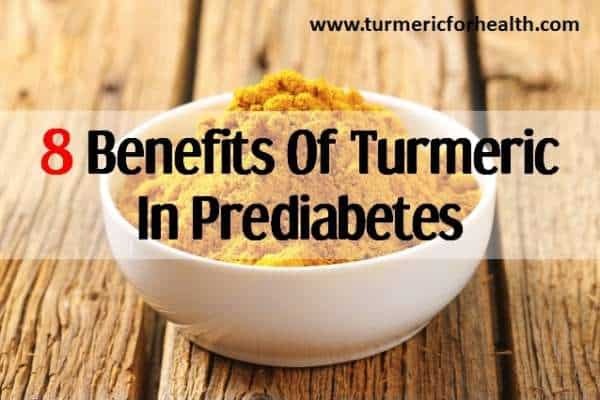 Prediabetes poses the risk of developing similar complications as those seen in diabetes and research shows that turmeric reduces the risk of developing such complications and also helps in the treatment. Diabetic nephropathy is damage to the kidneys caused by diabetes. Review studies state that curcumin has a protective effect on kidneys in diabetes. Curcumin’s antioxidant and anti-inflammatory property reduces oxidative stress and inflammation occurring in the kidneys and restores kidney function. A clinical trial in diabetic population demonstrates that around 500mg turmeric taken daily for 2 months attenuates excretion of protein in urine and reduces inflammatory parameters in diabetic nephropathy. Animal study shows that curcumin in combination with diabetes medication, gliclazide/gabapentin protects against diabetic neuropathy and reduces pain sensation. Diabetes complications can even spread to the eye leading to loss of vision. This condition is called diabetic retinopathy. Curcumin’s use in various eye disorders has been documented. Additionally curcumin’s anti-inflammatory, antioxidant and glucose lowering activity protects against diabetic retinopathy. Meriva, a specialized formulation of curcumin, brings about improvement in diabetic retinopathy in humans. Diabetic micro and macrovascular complications affect the blood vessels and their functioning. Curcumin is a cardioprotective agent- protects the heart and blood vessels from damage. Curcumin protects against diabetic microvascular complications, atherosclerosis and restores blood vessel function. Clinical trials in humans show that curcumin improves blood vessel function and reduces the risk of atherosclerosis in humans suffering from diabetes. Hypertension or increased blood pressure is one of the consequences of prediabetes. Curcumin by means of its antioxidant property reduces oxidative stress (imbalance between prooxidant and antioxidant agents) and relaxes blood vessels; thus reducing hypertension. Curcumin and piperine individually reduce hypertension by altering the structural features of blood vessels. Curcumin’s anti-inflammatory, antioxidant, antidiabetic properties protect various organs and systems in the body from diabetic complications. Dietary turmeric can help prevent prediabetes. 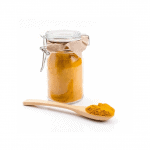 A more therapeutic way of incorporating turmeric in your diet is The Golden Paste. Just 1 teaspoon of this preparation 2-3 times a day can help. You can include The Golden Paste in soups, curries, rice preparations and even smoothies etc. Here are a few recipes. If opting for turmeric supplements please consult your doctor for appropriate dose and to void out drug interactions. Some studies do show that you require higher than dietary levels of turmeric in order to reverse prediabetes. 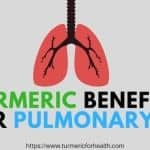 If you need help determining good brands of turmeric powder and supplements, then we have got a good resource right here. 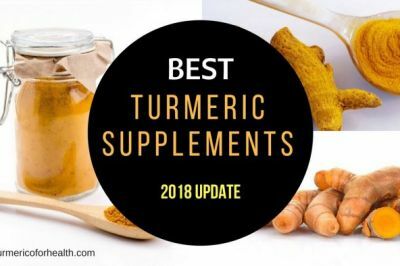 Turmeric supplements are the ones you need to be cautious about since they contain a high proportion of curcuminoids which may have drug interactions. 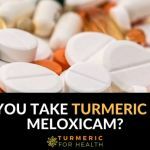 It is generally advised to avoid turmeric supplements when taking anti-diabetic medications since their combined effect can cause an abnormal reduction in blood sugar. However, no study proves this. 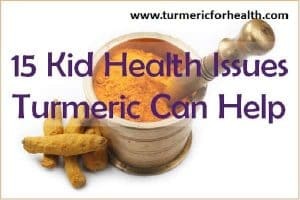 Dietary turmeric is not likely to pose any problem. Prediabetes is a condition that can be reversed by changes in lifestyle and pharmacotherapy. Curcumin’s multifaceted role holds promise as an adjuvant or natural therapy in prediabetes treatment. In case you are diagnosed with prediabetes, it is highly advisable to include turmeric in your diet. Fresh Turmeric has approx. 3% Curcumin, Powder is about the same. Most capsules are 95% curcumin extract. 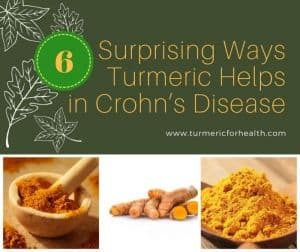 The study at the beginning of the article states they used 250 mg 6 times a day which is 1500 mg of the curcumin extract. Getting that from powder or root (“dietary intake”) would be very difficult so you need to get the capsules and calculate the necessary dose from the what the strength is of that specific capsule. Can you use the fresh turmeric to make the paste? You could possibly grind fresh roots for the paste but the fibres would make it difficult to consume. 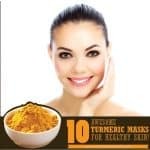 It is best to use turmeric powder. 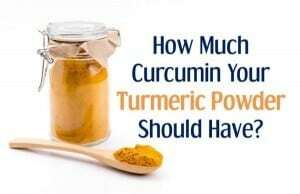 You mention that dietary intake of curcumin cannot achieve lower blood sugar levels. Does that apply to ingesting the golden paste? If golden paste can be an effective control, how much should one take? Dietary curcumin is associated with reduced blood glucose. 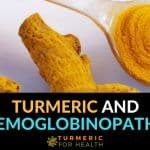 However the study which focuses on turmeric’s effect on prediabetes used a dose of 6 capsules with 250mg curcuminoid. 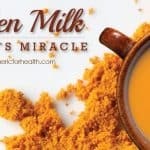 You can read here:http://www.ncbi.nlm.nih.gov/pmc/articles/PMC3476912/ This cannot be achieved by simply adding turmeric to food, though dietary turmeric could still contribute to preventing and reversing diabetes. 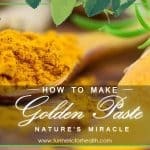 Golden Paste ensures better absorption of curcumin. You can start with 1/2 to 1 teaspoon a day and then increase the dose as to how it suits you. 1-2 teaspoons twice a day should help. 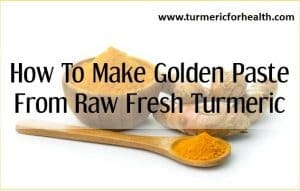 What is the difference between “turmeric supplements” and golden paste. I really would like to take turmeric for arthritis and also prediabetes, but I take (prescribed) 1 mini aspirin per day. My doctor is not interested in turmeric and so can’t advise. I posted a response to the above questions which will also answer most of yours as well. 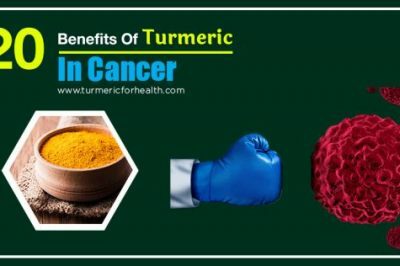 Additionally, turmeric does reduce platelet stickiness which is what blood thinners do so they are the only contraindication to turmeric supplement use. doubling up on blood thinners can cause bleeding issues. Finding a doctor that s open to natural supplements is difficult but worth the search. Don’t give up. 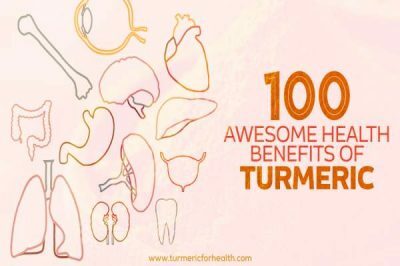 Turmeric supplements are a concentrated version of curcumin and other bioenhancers whereas golden paste contains curcumin and other natural compounds and volatile oils of turmeric as well as black pepper and fats for better absorption. 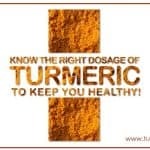 Dietary turmeric would not increase bleeding risk especially at the dose you would take it. You can start with small dose of golden paste and avoid taking it at any time around when you take aspirin.